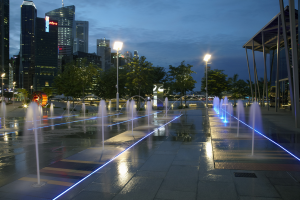 The Marina Bay Promenade provides a generous waterfront urban space linking the southern end of the Marina Bay to the CBD. 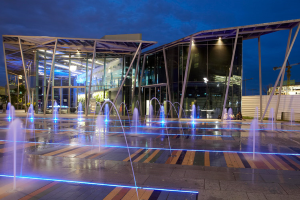 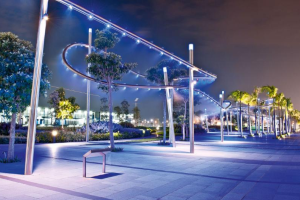 The promenade is designed as an environment-friendly recreation area. 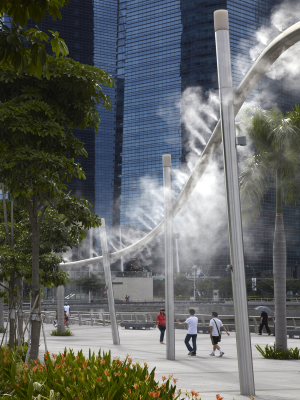 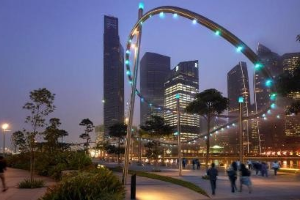 There are mist sprays to relieve guests from the blazing Singapore heat; breeze shelters with motion sensor fans to provide visitors with a cool stop from a tour walking around the bay. 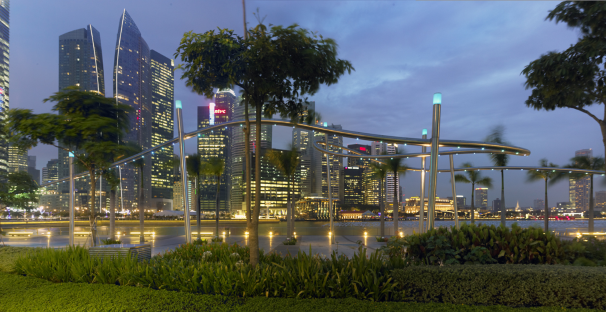 Singapore’s Marina Bay is a real beauty of nature, adorned with the most glitzy skyscrapers and uniquely architectural buildings. 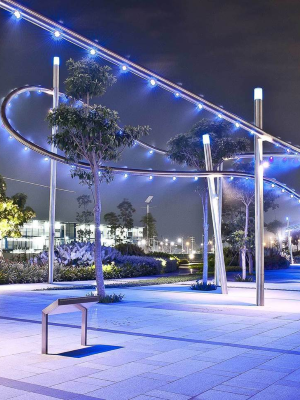 The promenade is there to give locals and tourists an up-close view of the bay.